Paromita Vohra, a documentary filmmaker, screenwriter and teacher based in Mumbai, India, will discuss her work on Thursday, Feb. 25 in the Shapiro Campus Center Theater following the 4:30 p.m. screening of two of her recent documentaries. This is the second program in the new Soli Sorabjee Lecture Series, a program of South Asian Studies and the Brandeis-India Initiative that explores themes of justice in South Asian nations. “Morality’’ explores the scrutiny and control of women’s mobility and sexuality, and the history of communal violence, caste brutalization and feudal equations. “Cosmopolis” looks at divisions of language, class, memory and food, and queries the myths of Mumbai as a great cosmopolitanism city. Vohra is the director of over half a dozen documentaries examining the society, politics and culture of the contemporary urban India, looking at issues of ethnic chauvinism, women's access to public space, state crackdowns on public “immorality,” globalization, cosmopolitanism, diversity and social justice. She is particularly recognized for her innovative filmmaking techniques, including blending fiction and documentary. Her films have been screened at film festivals around the world, and her fictional and non-fictional writings have been published widely. Her work as a writer includes the feature films “Khamosh Pani” ("Silent Waters"), about a woman whose life is transformed by growing fundamentalism in a Pakistani village, for which she won the Best Screenplay award at the Kara Film Festival in 2003 and the documentaries “Skin Deep," "A Few Things I Know About Her,” and “If You Pause: In a Museum of Craft,” as well as a series of short fiction films on communal conflict for the People's Decade of Human Rights Education. 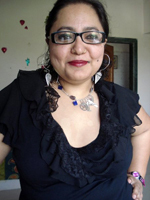 For more information on Ms. Vohra, click here. The Sorabjee lecture series defines "justice" broadly, encompassing examinations of human rights, historical narratives, literary and political representations, gender and social justice, citizenship and democracy, and cross-border connections between the nations of South Asia. Its goal is to expose students at Brandeis (and the larger public) to the scholarship being conducted in the multidisciplinary fields of South Asian Studies, both in the United States and in South Asia itself, as well as to the vast range of South Asian intellectual and artistic traditions. 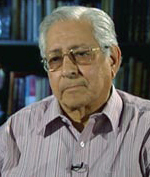 Soli Sorabjee is a prominent Indian jurist and human rights advocate. He was designated senior advocate of the Supreme Court of India in 1971, and he served as the attorney general for India 1989-90 and 1998-2004. He also serves as vice president of the Commonwealth Lawyers Association and as a member of the Committee on Arms Control and Disarmament Law of International Law Association. He was appointed in 2000 as a member of the Permanent Court of Arbitration at The Hague for six years. Sorabjee will deliver the third lecture in this series bearing his name later this semester. Click here to read more about Sorabjee and his human rights work. Click here to read a dedication to Sorabjee delivered by his granddaughter, Brandeis student Aarti Moti '10.